We’re proud to announce the completion of another Modular Christian Academy Building. 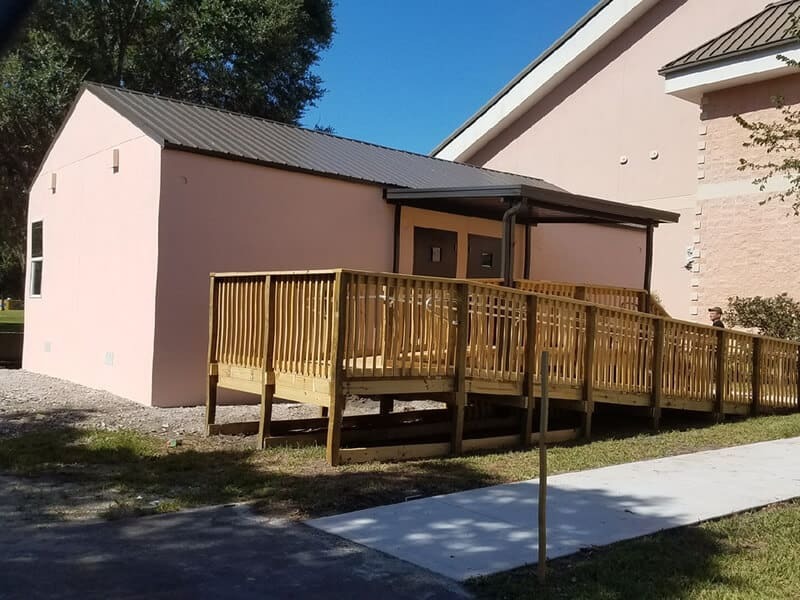 First Christian Academy in New Port Richey is a site install High Ribbed Steel roof at a 5:12 pitch with concrete stucco on site to match the existing church. This modular christian academy building provides an additional 900 square feet of classroom space for the school.